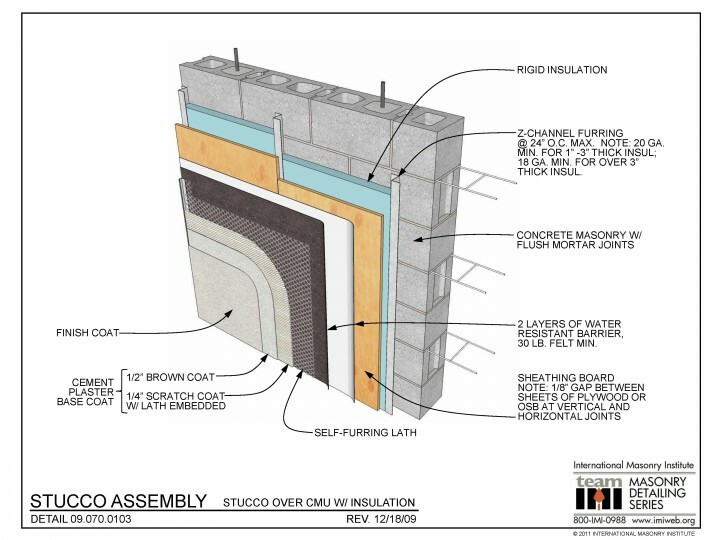 This detail shows a three coat Portland cement stucco assembly applied over self-furring lath with two layers of weather resistive barrier (WRB) behind the lath. The structural backup is concrete masonry, with rigid insulation between Z-channel furring. A 1/4″ scratch coat and 1/2″ brown coat make up the base coat, with a finish coat on the surface.